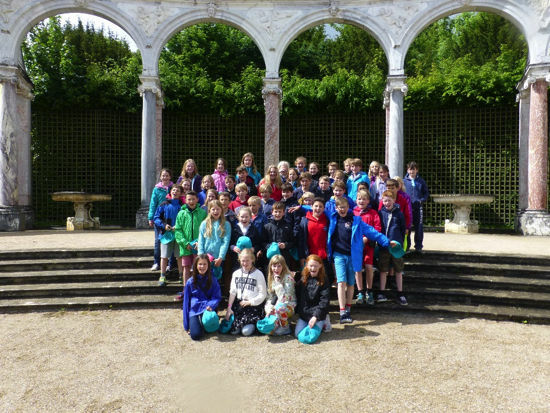 Mr MacQuarrie, who led the trip, says: ‘Thank you to all the children. It was a pleasure taking them away as they were so well mannered. 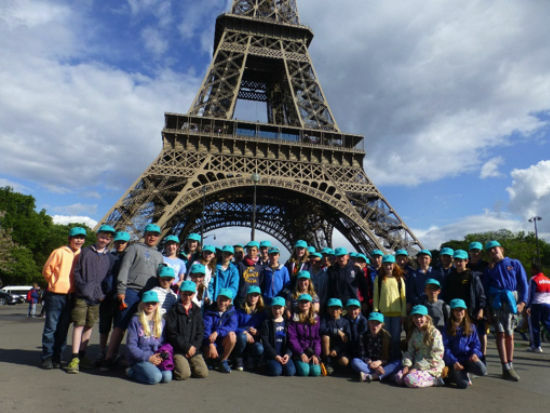 We received numerous compliments on their behaviour’. Our very own Mrs Renshaw was invited to the Queen’s Garden Party at Buckingham palace on Wednesday. It was a truly memorable day for her and her husband, who were in the presence of the Queen, Prince Philip and Prince Andrew. 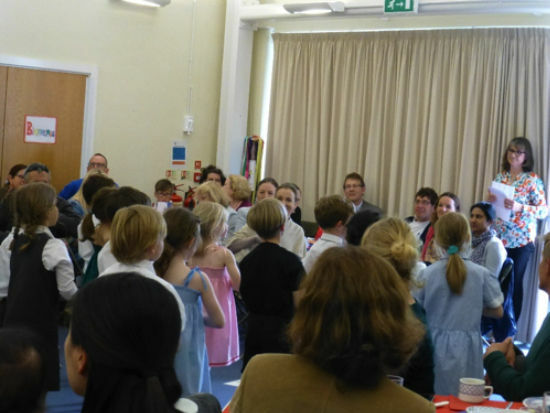 The music was fantastic, the sandwiches looked as though they had been measured with a ruler and set square and they even managed to bump into someone they knew from Truro (the Dean no less). Year 2 have had a very exciting afternoon today at their Café Théâtre. 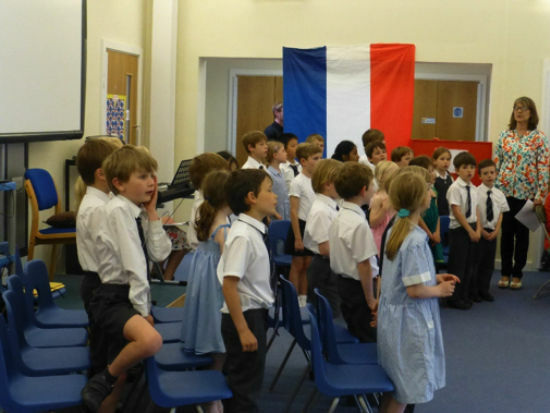 There was singing, dancing, fencing, guitar, piano and trumpet playing –all by Year 2 and all in French! For the parents there was croissant and tea, served at beautifully decorated red, white and blue tables.